While I have been obsessed with S. by J.J. Abrams and Doug Dorst (and playing Fallout 4!) 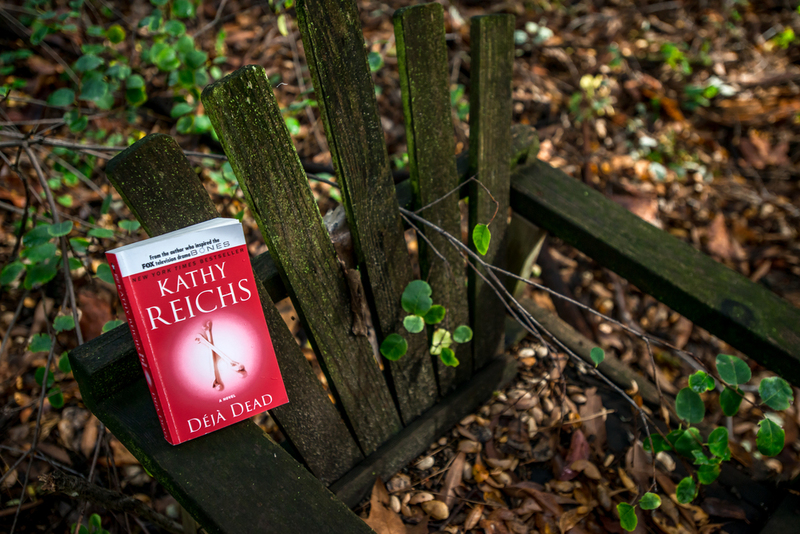 my mom was amazing enough to do a guest review for November's Book of the Month, Déjà Dead by Kathy Reichs. I am so appreciative of the effort and skill she put into her review, and has now inspired me to kick up my game because her review is so good! So enjoy the review and I'll see you back here to reveal December's Book of the Month. Tempe Brennan is solving the case of a serial killer that nobody wants to believe is a serial case while she worries about her 19 year old daughter who doesn't pick up her calls and lives and goes to school in the U.S. She's also dealing with her flighty best friend and has to deal with work place hostility due to a personality conflict. She's running around by herself investigating the gruesome murders of five different women who seem to have no connection to each other. Tempe seems to get on the trail of the bad guy only to find out he's not the one committing these heinous crimes. She bumps heads with a lead detective and has to struggle to make headway through workplace chauvinism all the while dealing with her alcoholism and horniness and is being stalked by the actual bad guy. It all comes to a head with her solving the case alone and her being brutalized and rescued in the nick of time. I was really excited to read a Temperance Brennan book. I love the Bones series on TV so I was really looking forward to the actual literature. I'd like to preface by saying this book is almost 20 years old and it's Kathy Reichs first Temperance Brennan book and the forensic knowledge she shares with us through Tempe is interesting to me. Since this is her first Tempe Brennan book and I haven't read any of her more current books I'll try not to be too critical of her style. I dug into this story enthusiastically and it really caught me at the beginning, but I began to lose interest as the story moved on. I really enjoyed what I was learning as I read, including the smattering of french she included. 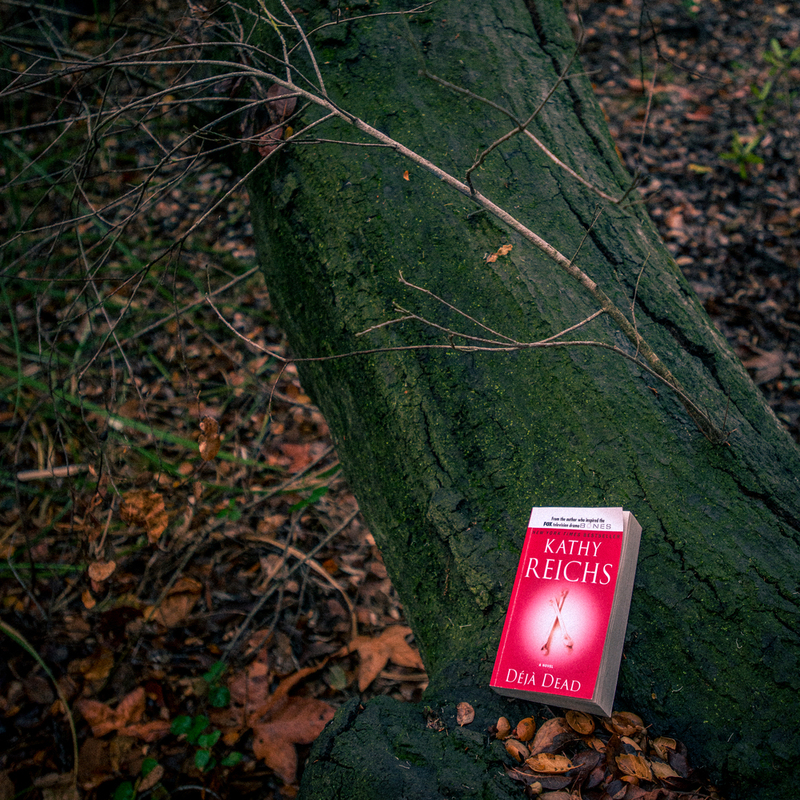 But, in Reichs efforts to make this book suspenseful it seemed like she included too much of the wild goose chase and while she is supposed to be a genius intellectually she seems to lack an inordinate amount of common sense, which basically almost got her killed, over and over. It's not that I didn't totally dislike this particular work, it was disappointing because I felt like so much of what I was reading didn't actually have to do with the mystery at hand, but a distraction so the gruesome end would be an emotional and suspenseful surprise. The wild goose chase character was fleshed out better than the actual sicko and that would have made the storyline more interesting to me. I am planning on reading a more current Tempe Brennan work because I really want to like this character and find out how Reichs incorporates the forensic techniques of the present into Tempe's work. I feel like her daughter should have either been left out or her character should have been developed. She seemed more like a nuisance the way she was left in there. Gabby and Brennan together were simply over emotional females who's relationship wasn't as close as Ms. Reichs would have liked us to believe. It seemed like Gabby was just put into the story to complicate Brennan's life. It just made me anxious. Her storyline was supposed to create more suspense, but it didn't work that way for me.